Addressing Law Enforcement Encounters, With Sense | The Community Injustice Blog on Why Teach Your Children To Follow The Law? There are millions of men on lock-down in jails around America. Many of these men are innocent of their crimes or are either serving extremely harsh sentences for non-violent illegal activities in which they were arrested and criminally charged by law enforcement. Others, are in jail for crimes involving murder. On of the most serious felony criminal offenses one can be charged with in the State of Texas is the crime of murder. In Texas, murder cases and criminal offenses involving homicide are aggressively pursued with all stops being pulled as far as prosecution of the accused is concerned. Any case involving murder, manslaughter, negligent homicide, murder for hire, and DWI manslaughter cases are pursued with an increased vigor as legislators and law enforcers work to strengthen the perception of Texas being tough on crime. Also worth noting: Texas is capital punishment state and we are proud of the death penalty. We lead the nation in execution and we also have the highest number of inmates on death row.If you kill any of our people, you die. 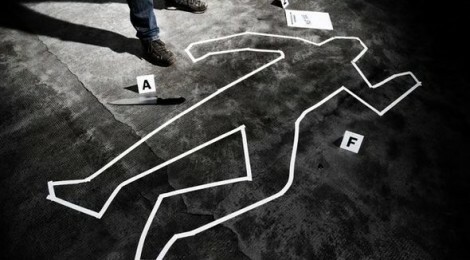 Dealing with the process of a murder investigation, or other homicide related investigation, is a situation that even the police don’t want to be involved in. This is especially true if you, a family member, or other person you are close to, are the target of a police investigation related to a homicide. If this is the case, you need to be lawyered up as soon as possible to ensure that your rights are protected and all evidence, if any, are reviewed for legality. When there is a loss of human life it doesn’t necessarily mean that a crime has taken place. Not all cases of homicide involve murder. Some cases of homicide can be a result of the situations outlined in the list below. Cases in homicide is a result of self defense. Killing someone as a result of defending someone else may not be illegal depending on the circumstances involved. A situation in which death occurred as a result of an accident. The list could go on forever. As you can see there are a number of matters which can result in a homicide investigation by law enforcement. 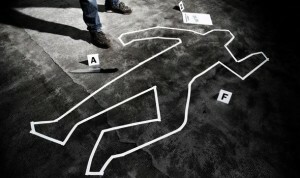 Its very important that you seek legal representation by a Board “Certified” attorney as soon as you catch wind of any murder investigation involving you or a family member. Being found of a crime involving murder could result in a criminal penalty ranging from a few years, to life in prison, up to the death penalty. Even if you are guilty of all criminal charges by law enforcement by law enforcement you will still need a damn good criminal defense attorney in Houston who can fight the charge and get you a minimal sentence. If you are innocent, god help you because you will need and even better lawyer. This is why we recommend talking with an attorney who is board certified in criminal law. They are the best in the business and the best lawyers in Texas.